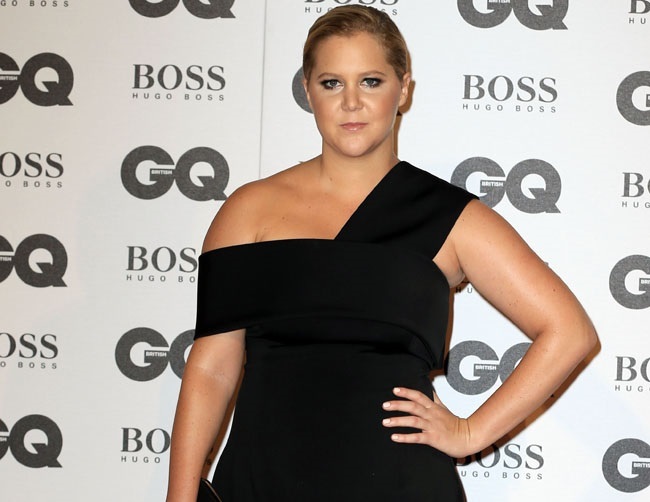 Amy Schumer says her comedic style keeps her from ever being serious as she enjoys playing pranks on her agent whenever possible. The Trainwreck actress admitted to love seeing her representative be subjected to embarrassing situations. In fact, he has gradually stopped disclosing his plans to the comedienne to avoid further embarrassment. She told GQ magazine: “I use every opportunity to humiliate him. In a room full of comedians, I’ll always give him the floor, ‘Alan do you want to say some words?’ He’s so shy. One night we went out for dinner and we asked the waiter if he could tell him his card is declined, but all of them. He must have gone through 30 cards. He was sweating. Meanwhile, Schumer is close to actress Jennifer Lawrence and admires the fact that her friends never make a big deal by being around the Hollywood star. She also credits Lawrence for being so down to earth around everyone, which makes every encounter much easier. [Were they freaked out?] No, it’s part of what I love about them. They all act like, ‘Yeah, Jennifer Lawrence would be so lucky to hang out with us.’ There was never a reaction like, ‘Oh my gosh, Jennifer is going to hang with us’ – not for one second.